Are you planning a trip to Cornwall this year? We all feel very lucky living in this beautiful county. 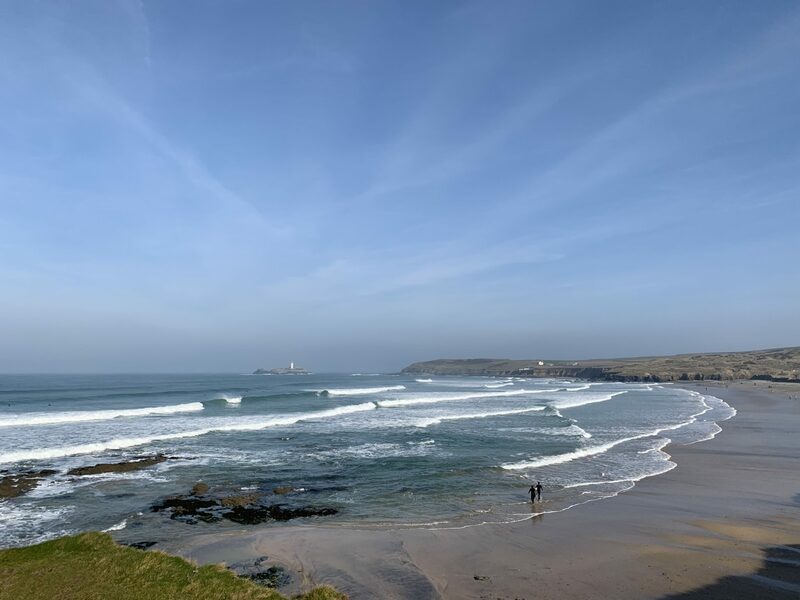 This stunning photograph was taken looking out to Godrevy Lighthouse this morning. 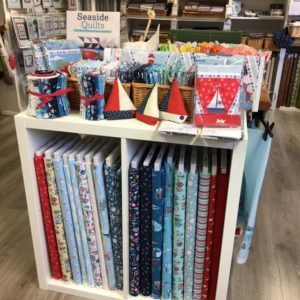 Whether it’s a sewing weekend with friends, a trip with the family, or a break for some r&r, if you’re a stitcher, why not pop in & see us & stock up on some beautiful fabrics, buttons, or one of our kits. Perhaps one of Mary’s Poldark kits of a Cornish Tin Mine, or our new Sea Breeze bunting kits. If you have a project with a seaside theme, Sea Breeze has just arrived with sandy yellows, sky & sea blues & bright reds. 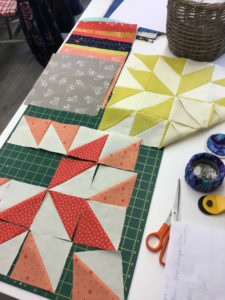 We’ve put together fat 1/4 & fat 1/8th bundles & it’s also available as fat 1/4s & by the metre, & as previously mentioned there’s bunting kits & panels too! 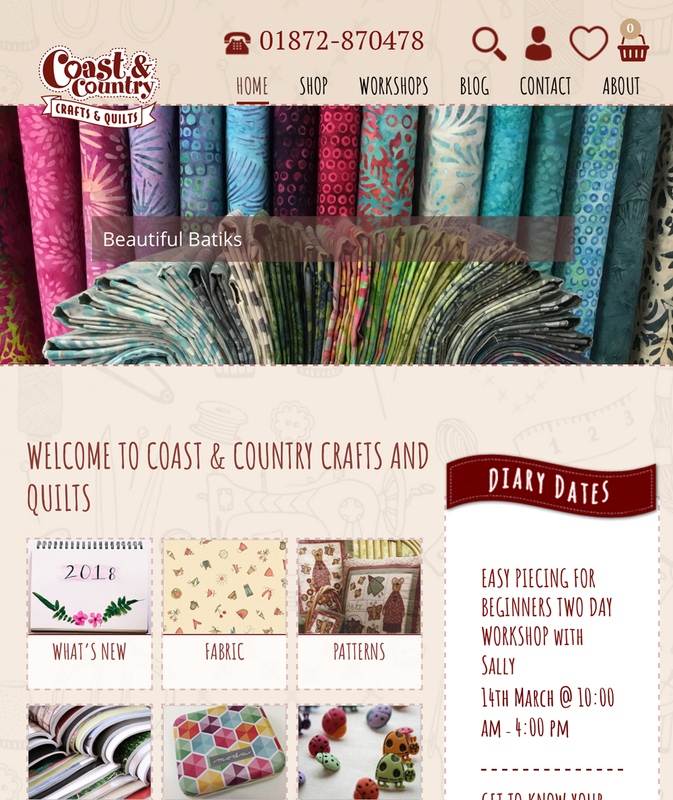 Why not look ahead to see what workshops we’re running, then give us a call & book. 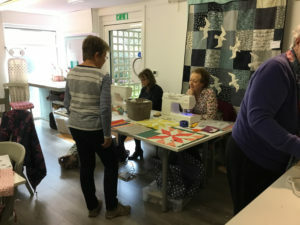 Don’t worry if you can’t bring your sewing machine, you can rent one of ours. We’d love to meet you! 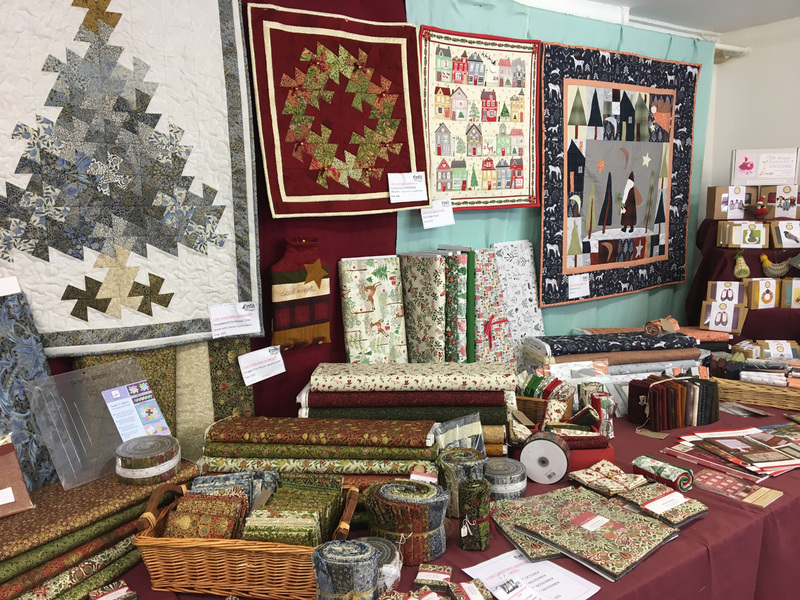 Christmas in July is in full swing with so many of you coming to see & buy our lovely Christmas fabrics, patterns, panels, buttons & books for 2018. If you haven’t already been, pop down & have a look. There’s lots of lovely samples of our Christmas workshop projects on display. In March we had our third workshop using Moda’s Cake Mix Recipe Pads with 10″ Layer Cakes. 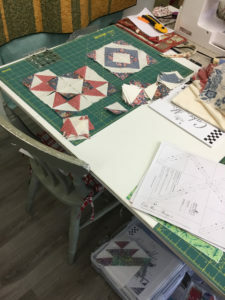 They make super quick and accurate quilt blocks, a bit like sewing by numbers! 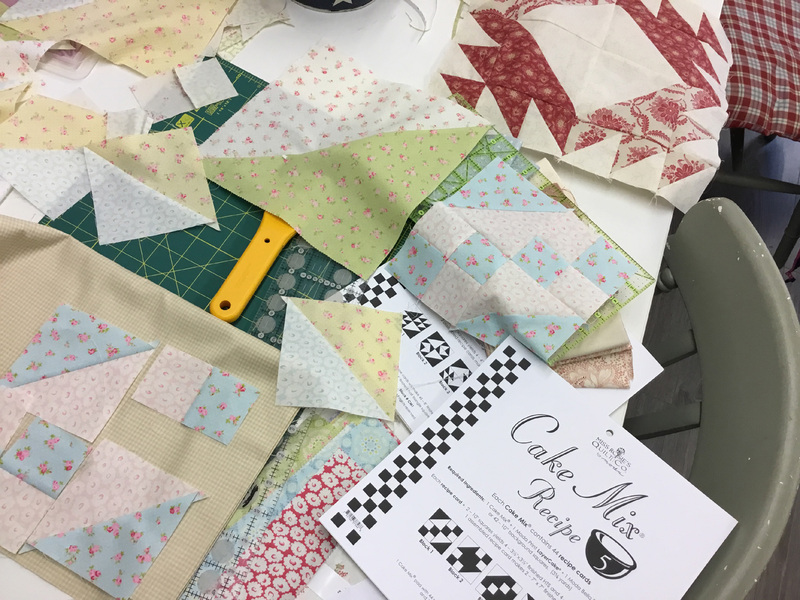 There are 8 Cake Mix Recipes & each one is a recipe for block parts that makes baking a Layer Cake quilt easier than ever. Simply take two Moda 10″ Layer Cake squares, a dark one underneath & a light one on top with right sides together, then a recipe page on top. 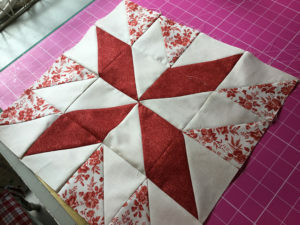 Pin them together & sew on the dotted lines as directed, then cut out on the solid lines. Press open with an iron & tear off the paper. Arrange each piece in your chosen design, (there are layout ideas on each Cake Mix Pad), then sew them together with 1/4″ seam allowance. It’s as simple as that! There’s also a lovely new Cake Mix Quilt Book giving you lots of ideas & coloured pictures of designs for each of the Cake Mix Recipes available. There are also 4 Cupcake Mix Recipes for the 5″ Charm Packs! Why not have a go, they’re all available on our website. It’s like Christmas all over again opening our Hatched & Patched delivery. 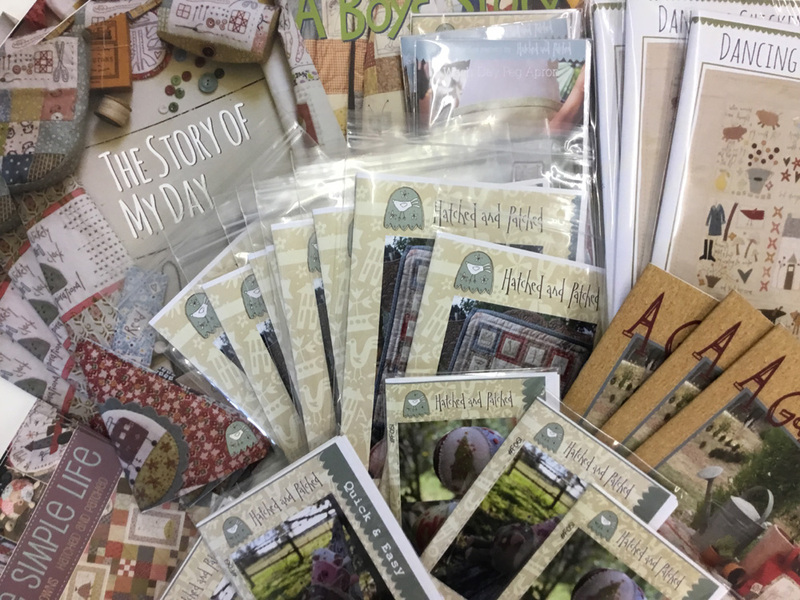 Story of My Day book, A Gardeners Journal, A Boys Story, The Simple Life book, Simple Pleasures book, Dancing Chickens Flying Pigs block of the month, Gossip in the Garden, Peaceful Garden pattern, Wild Things children’s quilt pattern & soooooo much more are now back in stock! 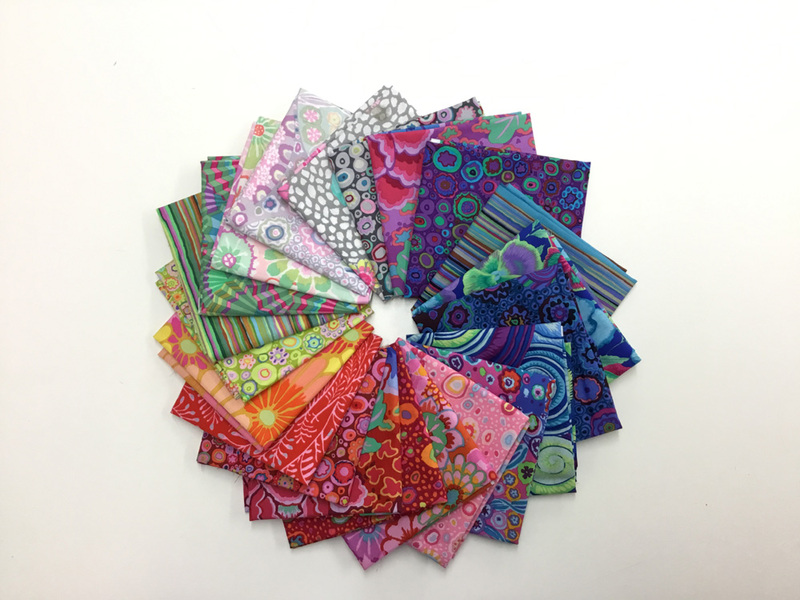 We’re thrilled to say that our Kaffe Fassett fabrics have arrived! With a selection across the colours of a rainbow, these beautiful fabrics are sure to lift anyone’s spirits. 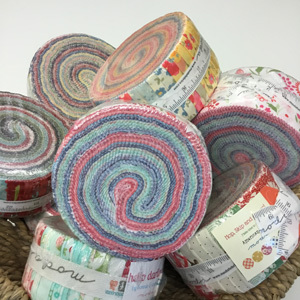 We are expecting Jelly Rolls, Layer Cakes & Charm Squares soon, so watch this space….